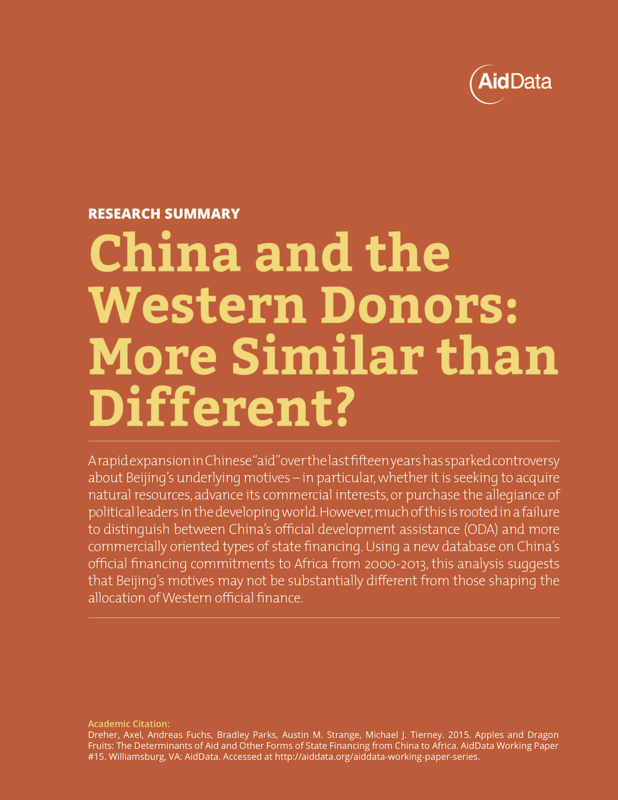 AidData | Research Summary: China and the Western Donors: More Similar than Different? Dreher, Axel, Andreas Fuchs, Bradley Parks, Austin M. Strange, and Michael J. Tierney. 2015. Apples and Dragon Fruits: The Determinants of Aid and Other Forms of State Financing from China to Africa. AidData Working Paper #15. Williamsburg, VA: AidData at William & Mary. A rapid expansion in Chinese“aid”over the last fifteen years has sparked controversy about Beijing’s underlying motives – in particular, whether it is seeking to acquire natural resources, advance its commercial interests, or purchase the allegiance of political leaders in the developing world. 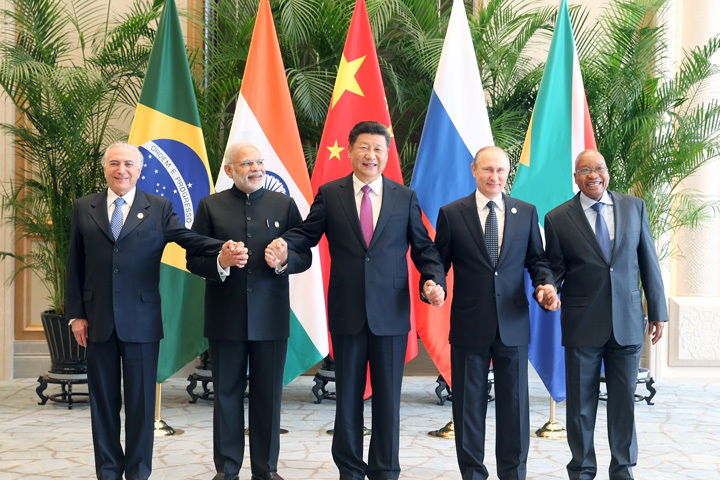 However, much of this is rooted in a failure to distinguish between China’s official development assistance (ODA) and more commercially oriented types of state financing. Using a new database on China’s official financing commitments to Africa from 2000-2013, this analysis suggests that Beijing’s motives may not be substantially different from those shaping the allocation of Western official finance.